Hello beauties!~~ as promised, here is my take on The EM Mask sheet that Korea Cosmetics sent over for its supporters to try on. It comes in a 25g silver/grayish plastic container other than that, I do not know if this mask comes in a box also because I was given only a piece of this to review on. 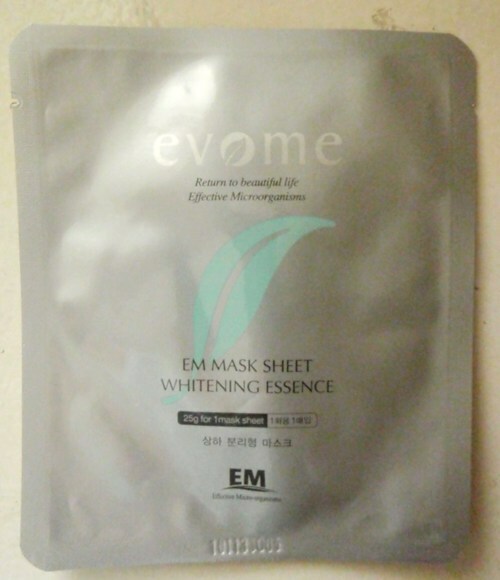 EM Mask sheet whitening essence contains Arbutin functions as tyrosinase which produces melanic pigment, the cause for chloasma and freckles, and strongly inhibits melanic pigment. – Vitamin-C plays an important part in the course of oxidization and deoxidization, also helps to adjust metabolism. Additionally, Pytoncide and EM oilive oil makes skin pure, strengthens the walls of skin blood, promoting the circulation of the blood, and prevents wrinkles, chloasma, and freckles, with whitening effect. The product comes in the amount to provide enough moisture and nutrition for the skin healthier. 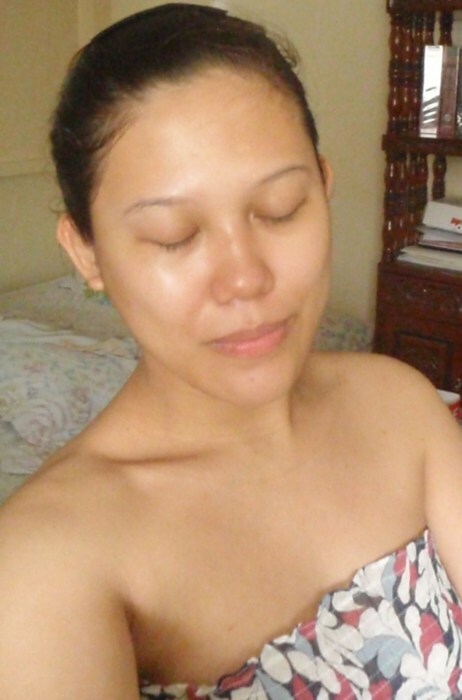 Before putting on the mask, I cleansed my face with a gentle foaming cleanser from Skinfood (Aloe Vera). I slowly opened the sheet mask and adjusted it following the contour of my face. Instantly I felt a soothing, cooling sensation on my face (which is a good thing because it means this product would nourish my skin from deep within; relieving it of stress brought about my activities all throughout the week!) I waited for about 20 minutes and then took the mask off. I’ve also read that one can use it 2 to 3 times a week to hydrate and replenish our skin. Pretty good, eh? Ok so here comes the part you’ve all been waiting for —- THE VERDICT! After removing the mask sheet, I waited for another 2-3 minutes for the essence to dry and be absorbed completely unto my face. When I lightly touched my face, I felt kinda sticky and oily! I was kinda expecting a more refreshed look like what I had experience on some masks that I tried before but I think it did not happen in my case. Considering my skin type, which is an oily combination skin, I think this mask would not suit me. For people with dry skin, this would do miracles on you since this product is highly hydrating and moisturizing. So far, I did not experience any allergic reaction upon applying the mask and with regards to its whitening effect, I did notice a that my skin looked brighter but not to the point that some marks/pigments have been reduced. 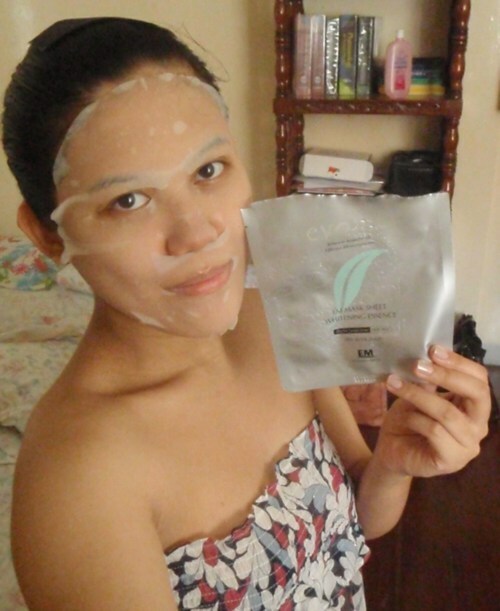 I hope you find my review helpful in choosing the perfect mask for your skin type.